If you’ve been around Randomville for a while, you probably know that we were birthed from the message boards of one of the best radio stations of all time, WOXY. You can search around on the internet and learn a lot about this amazing station, and even find some old play lists on Spotify. But truth be told, you kinda had to be there. 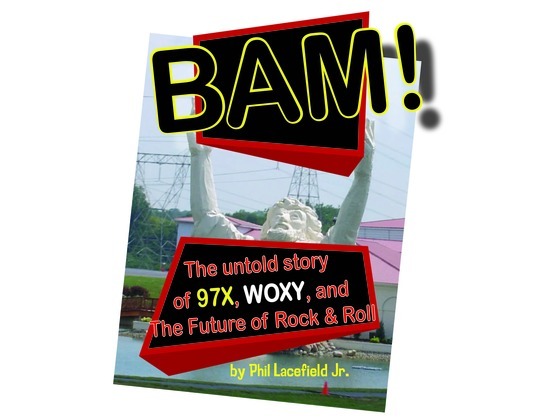 Well, we are in luck as one uber-fan, Phil Lacefield Jr., WAS there and he’s composing a book to tell the currently un-told story of the history of the station, from radio, to internet, to death…a couple of times. Writing and publishing a book costs money though, so Lacefield Jr. could use some support. He’s set up a Kickstarter campaign chocked full of all kinds of cool gifts, including a chance to be interviewed for the book as well. The campaign ends July 6th, so hurry up and donate to help out this awesome project!